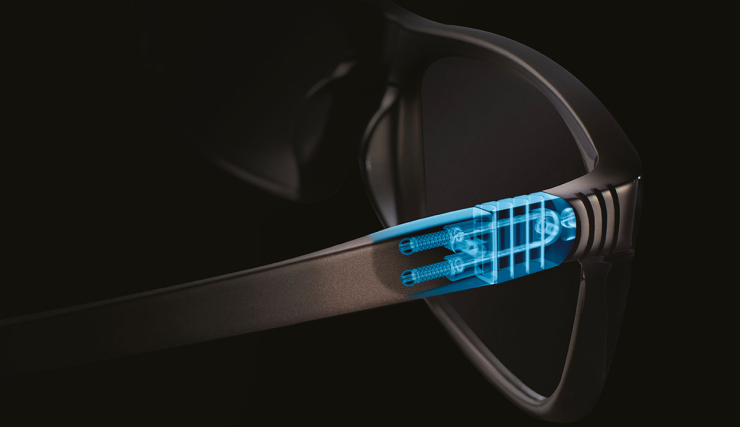 Spine Optics Frame Hinge Brings Innovation To The World Of Eyewear | OhGizmo! By Yulia Kluyko on 01/29/15 • Leave a comment! Wearing glasses can be second nature for some, but that doesn’t mean their eyeglasses are perfect. No matter how well fitting they are, there’s always the possibility of forcing them too far apart, or of the hinge becoming loose after some time. 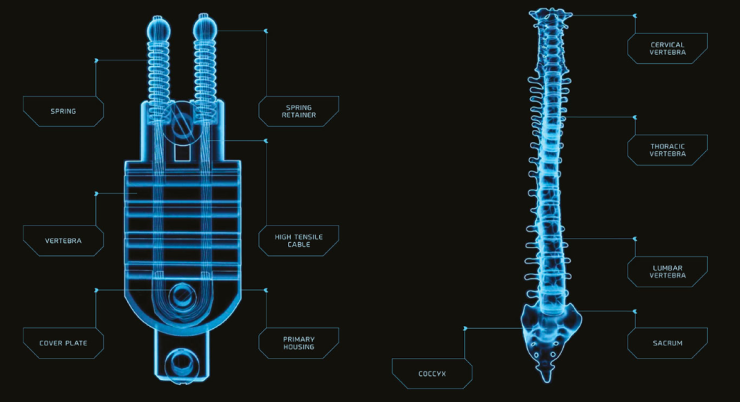 The Spine Optics hinge pictured above is an innovation from Italian designer Guido Medana, and features a “5 vertebra design” that attempts to mimic the human spine in its flexibility and durability. 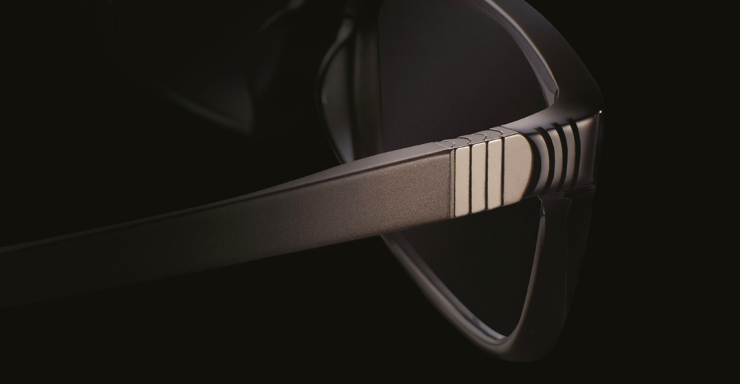 Unlike traditional glasses, the Spine hinge creates a small tension that lightly hugs the wearer’s face, adapting to any size head. This means they won’t easily fall off during exercise, but won’t be uncomfortable in a wide range of head sizes. 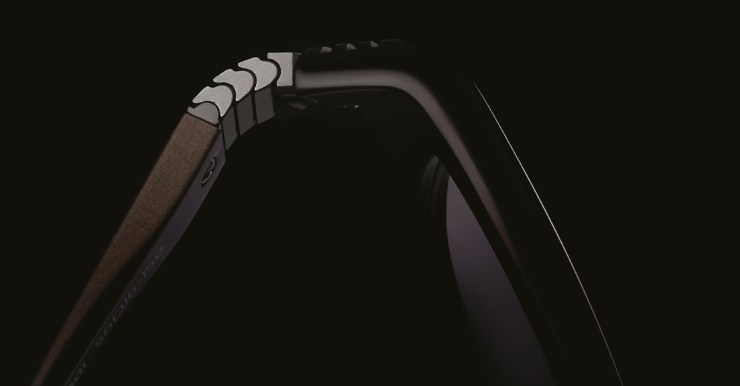 The hinge also closes the temples automatically when you remove the glasses, a function no one else has. 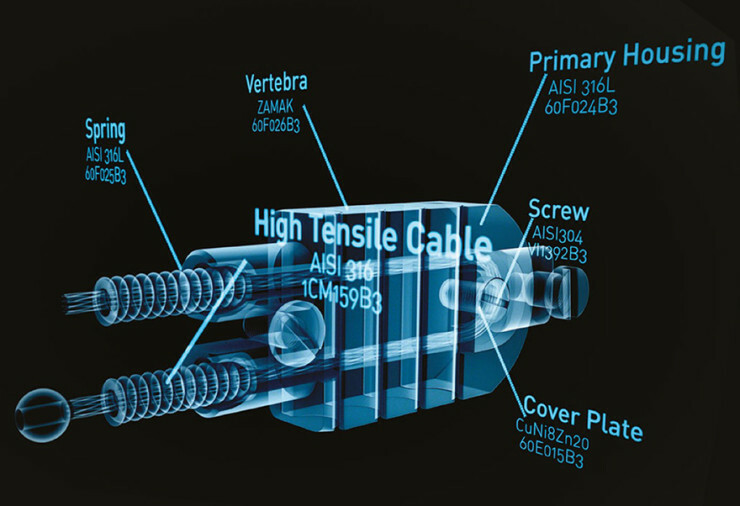 There are no screws to tighten, since the mechanism of action is achieved thanks to two cables and springs, as well as precision parts manufactured with a process called Micro Injection Moulding. Price and availability are unknown, although there is word that contracts have been signed for distribution with major companies throughout the US, the UK, and Canada.